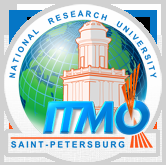 The Welcome Reception will take place at the conference venue (in the Razumovsky Palace). We will offer drinks and hors d'oeuvre, accompanied by a Russian folk music performance by the Perezvony orchestra. The reception is free for registered participants of ESEC/FSE and Tuesday coordinated events (IWPSE, MUSEPAT). Other participants, as well as accompanying persons, may purchase tickets on site for €20. 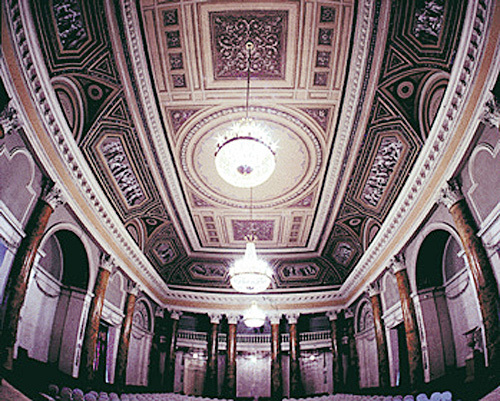 The Conference Banquet will take place in the beautiful Bezborodko Palace, 15 minutes walk from the conference venue. The banquet will be accompanied by a concert, and the kind of music is a secret. We will walk to the Bezborodko Palace from the conference venue in several groups led by student volunteers. The first group will leave at 18:45, the last one: at 19:15. If, for whatever reason, you do not want to walk, contact the conference organizers and we will arrange a taxi for you. The banquet is free for registered participants of ESEC/FSE. Other participants, as well as accompanying persons, may purchase tickets on site for €70. Note: it is important for our planning that you have correctly indicated your attendance and the number of accompanying persons in the online form during registration. If your plans change, please let us know (including meal preference: fish, meat or vegetarian) by writing an email to esec2013-team@lists.inf.ethz.ch.